You can find printer/photocopier machines in both the B2 computer room and upstairs in the Marshall Library. 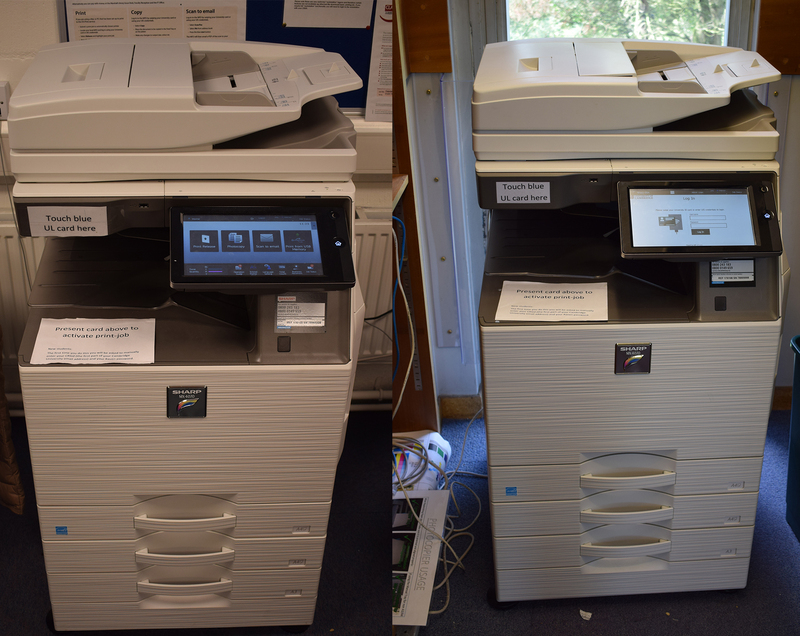 To print to one of the above printers you must first be logged onto one of the machines in B2, B3 or the Marshall Library. When you print your document, send it to the Econ_Find_Me printer. Go to your closest printer and present your University card on the panel where is says to place it. You will then get a screen pop up with a button that says 'Print Release'. Press the print release button and you should then see any jobs you have send to Econ_Find_me. Click the job you want to print, and assuming you have credit your job will now print. To scan documents and send them to your email, first lift the top of the printer and place your document in the boundaries that are marked on the scanner, with what you want to be scanned facing downwards. Then present your University card on the panel of the front of the printer. You will now be faced with a screen with 4 buttons to select from. Select the 'Scan to Email' button as shown below. 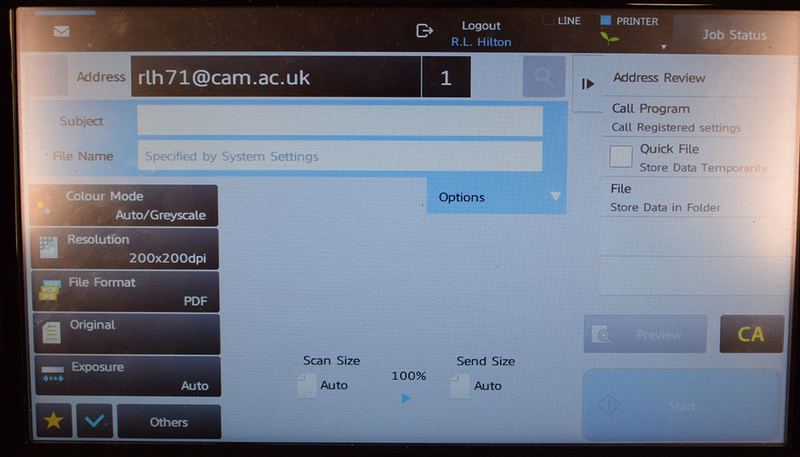 You will now see a screen where you will need to enter a subject for the email and also a filename for your scan. Once you have filled in both the subject and filename field, press the 'Start' button in the bottom right. Once it's finished you should now have your scan in your Hermes mailbox. It is possible to print from your personal laptop to the printer in B2 or the printer in the Marshall library. You can also add credit to your account by paying in cash at the Faculty Reception and the Marshall Library. Printing charges are per sheet of paper, so the same price for single or double sided printing.